Metal roofing and metal siding is available in many colors, but its the green makeup or recycled content of metal that is convincing many homeowners and designers to make use of these products . For homeowners and designers committed to preserving natural resources, metal roofing and metal siding panels offer a unique, environmentally friendly solution to their buildings requirements. Metal roofing and metal siding can contribute considerably to the green building movement because of its recycled content, ability to be recycled, maintainability and energy efficiency. The recycled content for steel used in metal roofing and metal siding is at least 25%. This level of recycled content reduces both the cost and environmental impact of making new steel, as it conserves energy and other natural raw materials. The fact that the recycled content of steel is at least 25% by weight also helps earn points in the U.S. Green Building Councils Leadership in Energy and Environment Design (LEED) program, a national rating system based on a series of prerequisites and points. The programs objective is to encourage the design and construction of buildings that have little or no negative impact on occupants and the environment. Minimum LEED certification for a building requires 26 points. Steels recycled content is especially important when it is compared to other materials such as concrete, which has a recycled content of only 3% (fly ash) and even less when the weight of the recycled material is factored in. 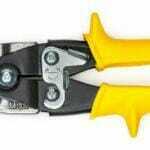 Other metals are also high in recycled content. For example, a recent survey indicated that the recycled content of domestically produced, flat rolled aluminum construction products was approximately 80-85%. The average recycled content of all copper and zinc products is 44% and 9% respectively. 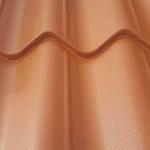 Copper roofing contains approximately 75% recycled material. In addition to their recycled content, metal roofing panels offer the added benefit of being recyclable at the end of their useful life. For example, while other old roofing materials are dumped by the ton in landfills, the steel, aluminum, copper and zinc used in metal roofing panels is 100% recyclable, contributing to future products recycled content. 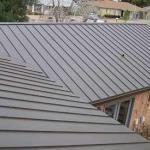 Moreover, in many retrofit applications, metal roofing can be installed over old flat roofs. This eliminates the need to remove the old roofing material, and helps preserve valuable landfill space. And, as in the case of recycled content, metal has an advantage over many other construction materials in terms of LEED point calculations since metal can be re-used, while roofing materials such as asphalt or rubber membranes usually end up in a landfill. Wall materials such as precast concrete, stucco and EIFS often find their way to landfills as well. Of the metals used in roofs and walls, steel is the most recycled. The annual recycling rate currently exceeds 70%, and its recovery rate is even higher, near 90%. Easily separated from other materials via magnetics, steel is reclaimed through a vast collection and processing network. New steel made with recycled material uses as little as 26% of the amount of energy that would be required to make steel from iron and other materials extracted from nature. The original embodied energy of steel products is amortized as steel is recycled again and again into new steel products. Aluminum is also recycled extensively. And, like steel, aluminum building products can be repeatedly recycled back into similar products with no loss of quality. Producing aluminum from recycled materials requires only 5% of the energy required to produce aluminum from bauxite ore, and every ton of recycled aluminum saves four tons of bauxite. Copper is yet another routinely recycled metal. The reclaimed material is melted down and re-formed into a variety of products. The re-melting uses only about 15% of the total energy consumed in mining, milling, smelting and refining copper from ore.
Zinc can also be recycled. In fact, more than 30% of zinc used in all applications comes from recycling. And, this percentage is expected to increase as demand grows. The amount of energy used to produce zinc from ore is the lowest of non-ferrous metals. Energy consumption is even lower when zinc is produced from recycled material. a long, sustainable service life. Metal roofing and metal siding is extremely durable, thereby lowering the demand for raw materials needed to produce replacement systems. 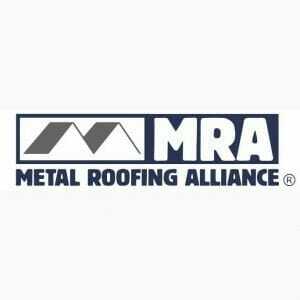 Metal roofing, for example, is unaffected by the hot-cold/wet-dry weather cycles and weather extremes that can break down other roofing materials. Metal roofing also has the ability to hold up against other weather forces including wind, hail, ice and snow. Also contributing to the extended service life of metal roofs and metal siding panels are todays generation of metal coating systems. Modern technology has introduced quality paint and coating systems that not only protect and beautify metal panels but are also warranted for 20 to 45years. 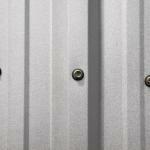 Metal roofing and metal siding panels are also low in weight. This means there is less of a structural load on a building, helping extend the life of the facility. In addition to their other environmentally friendly attributes, metal roofing and metal sidings can also help reduce energy consumption. Metal roofing, for example, can be finished with heat-deflecting coatings to lower energy usage by reducing cooling loads. Available with baked-on finishes or granular-coated surfaces, cool metal roofs can reflect up to 70% of the suns rays, resulting in less heat transfer to the interior of the building and saving homeowners up to 40% in energy costs. Moreover, metal has a low thermal mass, meaning that it dissipates heat very quickly once the sun goes behind a cloud or sets for the day. Other construction materials such as concrete have greater thermal mass and will continue to radiate captured heat into the structure, even when the sun is not shining.